The biggest challenge for potential investors in Central Asia is differentiating the “stans.” To some ears, Kazakhstan, Kyrgyzstan, Uzbekistan, Tajikistan and Turkmenistan appear interchangeable, despite their very different political, economic and social realities. However, help could soon be on its way. 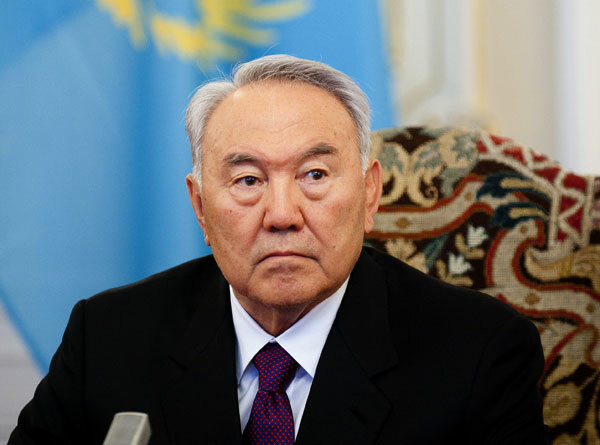 In early February, Kazakhstan’s veteran leader Nursultan Nazarbayev suggested his country—which celebrated 22 years of independence from the former Soviet Union last year—should be renamed Kazakh Eli (The Land of Kazakhs) to encourage a focus on its own merits. “In our country’s name, there is this ‘stan’ ending, which other Central Asian nations have as well. But, for instance, foreigners show interest in Mongolia, whose population is just two million people, but whose name lacks the ‘stan’ ending,” Nazarbayev was quoted as saying. Compared to many of its neighbors, Kazakhstan has considerable appeal: immense hydrocarbon wealth (including at least 30 billion barrels of oil), a slowly diversifying economy and a well-educated population of some 17 million spread across the world’s largest landlocked country, an area larger than Western Europe. Moreover, there is none of the overt oppression of Uzbekistan, the poverty of Tajikistan or the bizarre personality cult that still defines gas-rich Turkmenistan. Instead, Kazakhstan boasts a respectable per capita GDP of $11,400 that is expected to rise on the back of continued GDP growth: The economy grew around 5% last year with a further 5.6% growth projected for this year, despite a fall-off in foreign direct investment and lower energy and mineral prices. “Although the extractive sector still dominates—energy and mining account for 80% of export revenues—progress is being made in other areas. Services is a big growth area, whilst a lot of money is being spent on upgrading infrastructure,” says Agris Preimanis, senior economist for Central Asia for the European Bank for Reconstruction and Development (EBRD), the largest single investor in the nonextractive sector in Kazakhstan. The list of positives continues. After years of delays, the Kashagan offshore oil field—the world’s largest outside the Middle East—is flowing. Although output is currently only around 26,000 barrels per day, that is expected to rise gradually to 1.5 million bpd. On top of the 1.6 million bpd being produced from the country’s other fields, that is good news for Samruk-Kazyna, Kazakhstan’s $78 billion sovereign wealth fund. Hydrocarbon earnings are being put to good use: Millions are being spent upgrading railroads (a new line to northern Turkmenistan opened last year, and a through line to Iran is planned), airports and Aktau, Kazakhstan’s only port, on the Caspian Sea. A modern network of roads is also in the works. However, the best evidence of the country’s progress in boosting the non-hydrocarbon private sector is found in its increasingly cosmopolitan main cities—Almaty, the old capital and Kazakhstan’s commercial heart; the new, skyscraper-filled political capital, Astana; and hydrocarbon capital Atyrau. Almaty last year saw the opening of the landmark Esentai Tower, the latest phase of the five-building, $450 million Esentai complex, a glittering glass palace that would not look out of place in Dubai. The complex includes the country’s largest mall—32,000 square feet—the Ritz Carlton and JW Marriott hotels and large tracts of upscale residential property aimed at an increasingly rich cosmopolitan elite (the net worth of the country’s top 50 richest individuals is $24 billion). Yet Nazarbayev’s intentions go further than merely presiding over growing national wealth and explain his eagerness to change the country’s name. Although “stan” and “eli” both mean broadly the same thing (“land”, “nation”), the former suffix derives from the Persian word “istan,” while the latter suggests the more distinct Kazakh identity that underlies Nazarbayev’s long-term economic strategy. Although he has joined Moscow’s Eurasian Union, Nazarbayev also hopes to join the World Trade Organization. His grandiose ambitions for Kazakhstan were unveiled in his December 2012 launch of Kazakhstan 2050 Strategy, a vision that aims to use hydrocarbons to boost modernization and transform the country into one of the world’s top 30 economies by 2050. This year he reaffirmed his aims, which include boosting per capita GDP to $60,000 by 2050, using FDI to drive diversification (with a special focus on “innovative industrialization”) and continued large-scale infrastructure investment. He also intends to push ahead with privatization: In 2012 a 10% stake in KazTransOil, an oil pipeline, was sold via an IPO, with a wave of sales to strategic foreign investors expected to start next year. Although doing business in the country is easier than it used to be—Kazakhstan has moved up to 49th place in the World Bank’s 2013 Doing Business survey—opaque practices still raise serious concerns. Reform nonimplementation and the continued dominance of the extractive sector, which leaves Kazakhstan vulnerable to oil and mineral price falls, also remain significant risks. Observers are skeptical about the pace of reform. “Changes tend to come slowly in Kazakhstan. State involvement in the economy remains considerable and very real; concerns remain about bureaucracy and the extent of corruption,” says Alex Brideau, Central Asia analyst at the US-based Eurasia Group consultancy. Things were not made any easier by the 19% devaluation of the national currency, the tenge, on February 11, just weeks after the central bank suggested there would be no devaluation. The impact of US Fed tapering, lower energy and mineral prices and the depreciating Russian ruble gave Almaty, which has already spent $11 billion defending the tenge over the past two years, little choice. One big devaluation is, arguably, better than a series of small ones. However, it led to rare demonstrations in Almaty by consumers concerned about its impact on inflation and their living standards. Yet the biggest impact could be on Kazakhstan’s battered and largely dysfunctional banking system, which has yet to recover from the global financial crisis of 2008 to 2009. Five years after the Kazakh authorities bailed out many lenders and nationalized BTA Bank, Temirbank and Alliance Bank, the sector remains severely troubled. “At least 30% of loans are foreign currency ones to SMEs and corporates. Devaluation will inevitably affect the ability to service debt and will have an impact on corporate nonperforming loans,” says the EBRD’s Preimanis. Analysts suggest NPLs already average at least 30% of loan portfolios, with many of the really bad debts to be found in third-largest BTA Bank. Local bankers insist the situation is getting better. 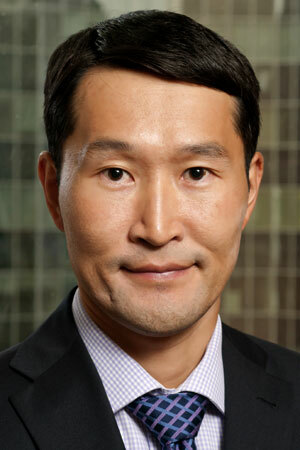 “Kazakhstan’s banks are in better shape these days—they are well capitalized, well provisioned and have fewer liabilities in hard currencies than back in 2008 to 2009,” argues Arnat Abzhanov, a senior board member at Halyk Finance, a leading investment bank in Kazakhstan. 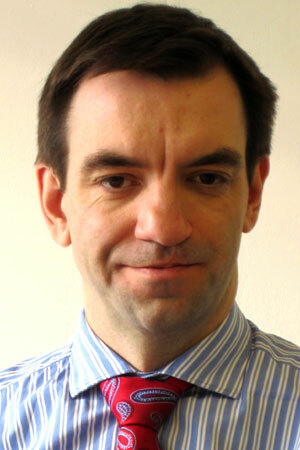 Preimanis is also confident that banks are on the right path. “All the measures are being put into place, and on the horizon I see greater solvency within the financial sector, a return to viability,” he says. Yet worries persist. It took just one groundless rumor about the solvency of three banks—Kaspi Bank, Alliance Bank, and Bank CenterCredit—to provoke a mini bank run, which was only defused when central bank chairman Qairat Kelimbetov publicly denied that any of the three were in trouble. However, some of the larger banks, including state-owned Alliance Bank and Kazkommertsbank, were downgraded in 2012, even as Kazakhstan saw an upgrade in its sovereign rating (by Fitch, to BBB+). The sector remains in flux, with BTA and Kazkommertsbank currently in the process of merging and HSBC agreeing in late February to sell its Kazakh unit to Halyk Savings Bank for $176 million. Further consolidation is inevitable. As a consequence of their high levels of NPLs, local banks are risk averse. One of their biggest priorities has been encouraging the development of much-needed alternative sources of financing for small and medium-size enterprises. The EBRD has done its part in this regard by focusing on improving conditions for SMEs. “We have revamped our program and offer advisory services to SMEs and banks to better work together. This means encouraging risk-averse banks and advising SMEs of what they need to do to get the best access to finance,” says Olivier Descamps, EBRD’s managing director for Turkey, Eastern Europe, Central Asia and the Caucasus. 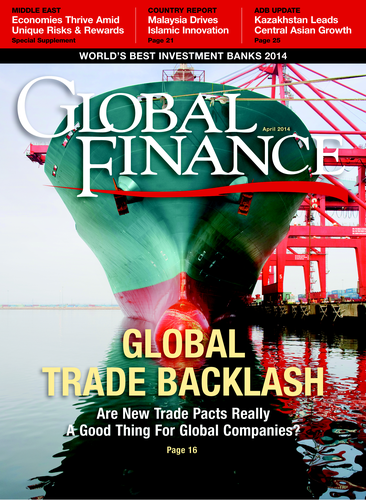 But more overall effort is needed if Kazakhstan is to realize Nazarbayev’s strategy of modernization and diversification.“There really needs to be key improvements in the business environment with changes in the regulatory framework and a rebalancing towards the nonextractive private sector,” says the EBRD’s Preimanis. The government also needs to encourage a growing middle class to help offset the current gross inequality in wealth. This may prove difficult alongside its other aims, which include pension reform and raising the retirement age but also maintaining the political status quo. The biggest concern is that popular dissatisfaction about the failure of living standards to improve or anger at growing wealth inequality translates into serious labor unrest. But observers believe this is unlikely. “Kazakhstan is now one of the world’s top 10 oil producers in per capita terms. Nazarbayev has sufficient wealth to stave off any sustained unrest,” argues Charlie Robertson, global chief economist and head of macro-strategy at investment bank Renaissance Capital.